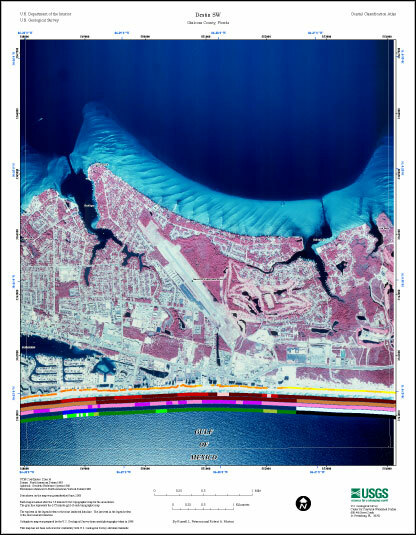 Map showing the coastal classifications along the northwestern panhandle of Florida shoreline. The top item in the legend refers to the most landward data line. The last item in the legend refers to the most seaward data line. Click on the links below to download and view larger versions of the map. At the bottom of the page is a clickable index map that will take you to the other maps. 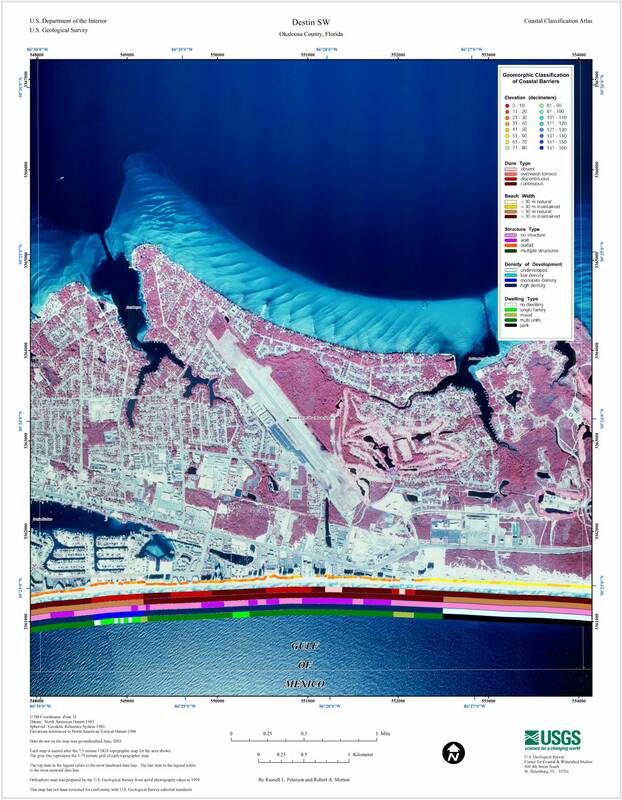 Coastal Classification Map for Destin SW.
Clickable Index Map. Use the index map above to navigate to the different coastal areas. The selected area is outlined in red.